This handmade plain ships decanter with a capacity of 0.75ltr has a stunning design, including an unusually long neck. 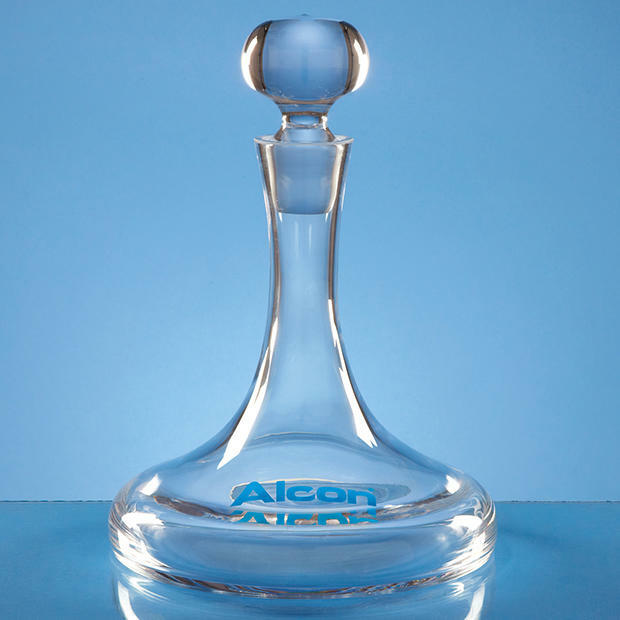 The uniquely shaped stopper complements the base of this modern decanter. which oozes quality, A large engraving area can be personalised with any badge, logo or text. This decanter is perfect for corporate use or as a gift or a prize. It is supplied in an individual cardboard box. Satin Lined Boxes are available. Please see order form.